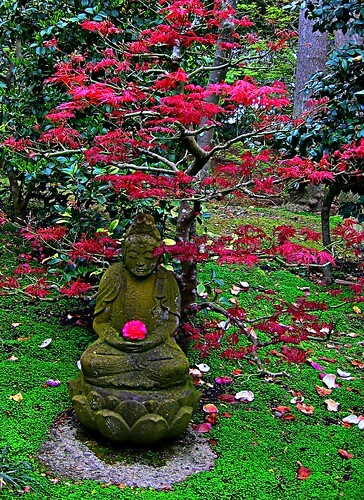 The whole world mourns with Japan for losses unspeakable. Life is perilous, even in day-to-day living. But on our worst days, when we have witnessed the what cannot be borne, have experienced what cannot be endured - our minds come apart as we understand the full measure of how very small and fragile we are. We realized that we had lived before in a state of grace, with a sense of safety, routine, and predictability. Never again will we return to that place - not after we have lived through a tsunami or earthquake or mudslide or wildfire or crime or accident or war - after the full force and wrath of nature - or man - has been unleashed. We will go on - but we have been changed forever. The Chumash, Santa Barbara County's indiginous people, have called this land home for the past 13,000 years. They are no strangers to earthquakes. The mythological world of the Chumash is composed of three levels - the world of the sky, sun, and moon; the world of human beings and plants and animals; the lower world, the foundational world, supported on the backs of two cosmic snakes, who, when they wriggle and writhe - are the cause of earthquakes in Chumash country. In pre-recorded history, the Chumash world was rocked by earthquakes throughout the millenia, but any damage to their homes and villages was quickly repaired, and life went on. The Chumash lived lightly upon the back of Mother Earth. The Spanish arrived in Santa Barbara, claimed the land for Spain, and built their Presidio in 1782. 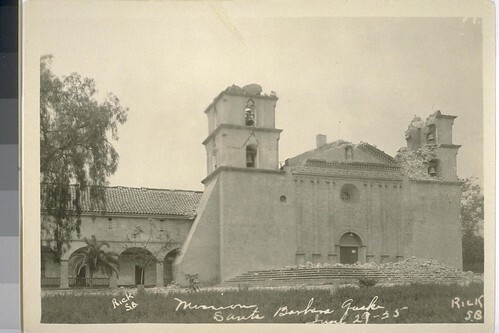 The Santa Barbara Mission was completed in 1786. Both buildings were destroyed in 1812, as the result of a series of devastating earthquakes. To the north, the La Purisima Mission in Lompoc, and in the south, the San Buenaventura Mission in Ventura, were both destroyed, as well. December 21, 1812: Santa Inez two shocks, fifteen minutes apart, beginning at 10 am. At Purisima, at 10:30am, December 21, the earth shook for four minutes so violently that it was difficult to stand. Half an hour later, another more violent shock. A succession of light shocks this day and the next....there was a huge earthquake wave at sea. A stick with a pendant ball was set up at the Mission Santa Barbara, and the ball vibrated continually for eight days, and later at intervals, for fifteen days. A ship at Refugio was carried up a canon by the wave and returned to sea. ...A tidal wave rushed into the land; fortunately, the people noticed the receding sea and, taking the alarm, made a timely escape. Both the Santa Barbara and La Purisima missions were rebuilt, although not on their original locations. The missions you visit today are the result of the later construction, dating from 1820 and later. In 1857, the Fort Tejon earthquake, a 7.9 temblor that struck about 100 miles east of Santa Barbara, was greatly felt here on the coast. However, there was no evidence of physical damage to the small settlement of Santa Barbara. 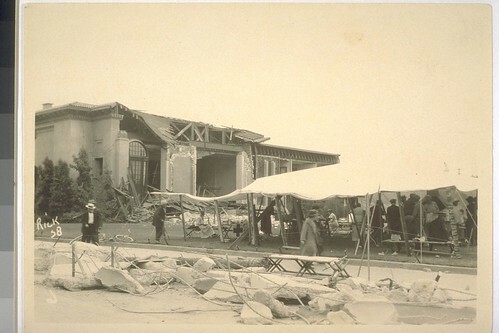 The San Francisco correspondent of the Daily Mail reports that the people of Santa Barbara, a county of southern California, are terror-stricken, owing to the increasing frequency and severity of the earthquake shocks, of which there were seventy - from July 27 through 31. The most destructive was at the town of Los Alamos...on July 31. All the brick buildings were thrown to the groundj, but the frame buildings generally escaped serious injury, except to their windows. Not a chimney has been left standing. The shock lasted thirty seconds and seems to have had a spiral motion. Goods were hurled from the shelves of the stores and piled in the middle of the rooms, even heavy desks were tossed about. The inhabitants ran into the streets in a panic, for in the morning, between 7:25 and 7:30, there were three additional shocks, and just before nine - two more. It is also reported that there were four severe shocks of earthquakes in Los Alamos Valley on August 1. Several buildings which had survived the earlier shocks were badly cracked, and an immense structure near Los Alamos was turned partly round on its foundations. The earth continues to tremble at intervals, and the countryside is said to be changing appearance. 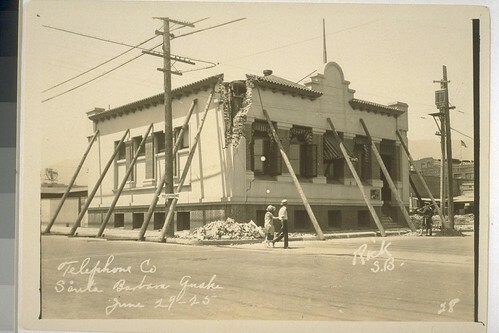 In 1906, the earthquake that leveled San Francisco, was also felt as far south as the city of Santa Barbara. Although there was no damage reported, the shocks were distinctly felt - from about 350 miles away. From Sola Street south to the ocean front, a total of approximately 40 buildings were either demolished, or so badly wrecked, that rebuilding will be necessary. 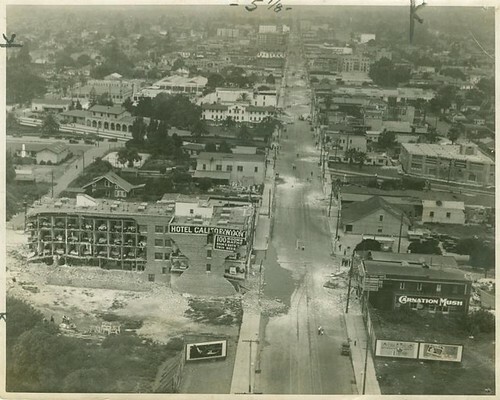 The San Marcos building at Anapamu and State streets was almost entirely demolished. One wing of the four-story structure, completed less than two years ago, lies flat on the ground. 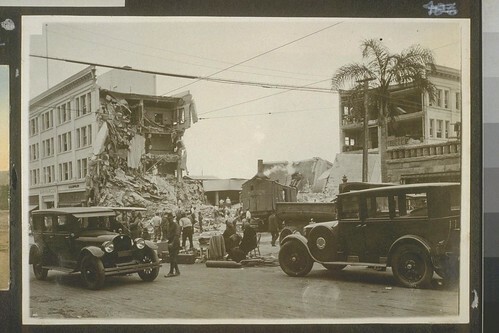 The State Street frontage is one-half demolished and in the wreckage are believed to be bodies of several employees of the Strling (sic) Drug Company. 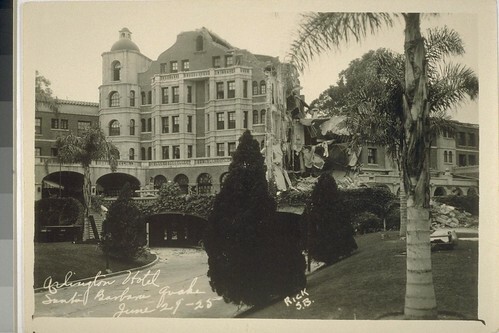 The Arlington Hotel, California's first great tourist hotel, and famous on two continents, is a wreck. The entire front section of the hostelry crashed to the ground, scores of guests barely escaping with their lives. Other large buildings wrecked were the public library, one of the most beautiful in the state; the First National Bank; the Trinity Church; the First Congretional Church; the Hotel Carillo (first two floors); the Clock Building; the Edgerley Court Apartments; the W.F. Higby Automotive building; the Church of Our Lady of Sorrows; the New Hotel California, finished less than a month ago, and a large number of others. Immediately after the first shock, all electric power and gas mains were shut off. Traffic came to a standstill and special police and naval reserves took charge of the downtown situation. A search of the wreckage for bodies was begun with huge wrecking machines and tractors dragging the debris from the streets. 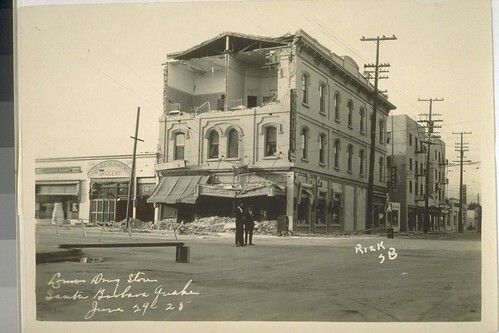 The first efforts of the salvage crews were hampered by the crowds of curious who flocked to the stricken zone, before the Granada Theatre, an 8-story structure which survived the tremblor, thousands gathered to watch the workmen. Recurring shocks soon sent them scurrying to a place of safety, however, and when the big building began to rock above their heads there was a general scampering in all directions. Scores of heroism came out of the first shocks. "Art" Hensling, well known as a semi-professional baseball player, was standing with a companion before a produce store on Ortega Street when the first blow came. The front of the building caved in on the pair, seriously injuring them. A small Mexican boy was passing, and the lad, with superhuman efforts, and with shock following shock, almost continuously, stayed with his work of rescue until he had freed both pinioned men from their perilous positions. The $5,000,000 city reservoir of Gibraltar dam escaped the force of the quake and stands apparently undamaged, but the Sheffield storage reservoir just above the Old Mission, broke and its rushing waters inundated a large section of the city in the lower part of town. Up until this afternoon few people of the city remained indoors. 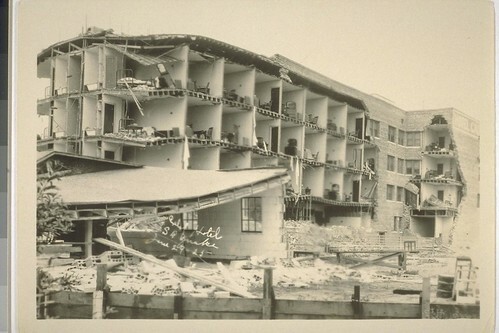 Scenes remindful of the San Francisco earthquake of 1906 could be seen on all sides. On every lawn, breakfast was being served on tables hastily set, but few were partaking of the food. The shutting off of electricity and gas plants made hot food at a premium. Bursting water mains cut off most of the water supply, and there were few cups of hot coffee in the city. The Southern California Earthquake Data Center estimates that the quake registered a 6.3 on the Richter scale. 13 people were killed as a result of the quake. 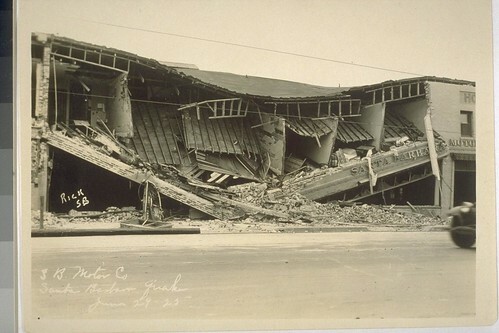 In 1933, the massive Long Beach earthquake was felt in Santa Barbara, and although it caused major destruction to the south of Santa Barbara, the damage to our city was relavitely minor. 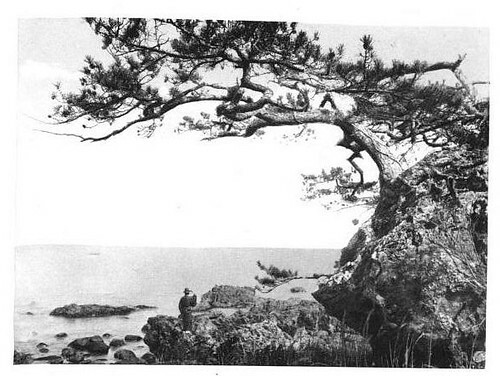 In the past half-century, I've experienced many of Southern California's ubiquitous temblors. I was living in Santa Barbara during the 1978 earthquake. I worked as a grocery checker at the Vons market on Turnpike Avenue in Goleta, the area that happened to be the epicenter of that quake. I was in a checkstand at the front of the store, just feet from 30' tall windows. An unholy sound - a rumbling and screeching that sounded like a plane crash - was the first warning before the quake struck. The land buckled, and knocked me down to my knees. I looked up and saw the huge windows ripple in long waves, more like water than glass. I grabbed the counter and pulled myself up - I looked over at the liquor department, and saw half-gallons and quart bottles of alcohol flying horizontally across the aisles. Ceiling tiles and overhead lights fell. People screamed. I ducked completely under the checkstand until it was over. The noise and shaking seemed to go on and on. After it was over, we exited the building. The store was in shambles. Not far away, a train was derailed, the cars twisted like little metal toys and thrown from the tracks. Dozens of people in the area were injured. I got in my car and began driving home, carefully coursing along the damaged roads, dodging fallen trees and power lines. Water sprayed high into the air, a fountain created from a damaged hydrant. I saw an aftershock that ribboned through the road - a small roll of the earth lifted a little black BMW into the air. The earth suddenly leveled out, and for a split second, the BMW was suspended, mid-air. It crashed back to earth, flattening all four tires. It was uncanny. The quake was only a magnitude 5.1. The thing I have learned about earthquakes is that the laws of physics seem to be suspended, or momentarily reinterpreted, at least, allowing the unimaginable to happen before your very eyes...sheets of glass can ripple like water; walls shimmy like jello; telephone poles are able to rock back and forth at a 45 angle for several minutes before they settle down - sometimes to their original position. Sidewalks and roads roll like magic carpets. And, depending upon the nature and strength and duration of the quake, buildings and roads and landscapes can be relatively unaltered - or completely laid to waste, unrecognizable once the shaking has stopped. There are no predictors. In Southern California, we are taught, from the time we are toddlers, to duck and cover at the first sign of a quake. We are admonished to have three days' worth of food and water for each member of our family, and flashlights, medication, first aid, extra clothes and blankets - all in case of a quake. We have drills, like the Great California Shake-Out, to practice our response to the imminent earthquakes that are sure to roll through our world - with regularity. But as we have seen so recently - in the face of a real monster of a quake - flashlights and bottled water stored in the garage may prove to be horribly inadequate. This past week, the Japanese people have taught me so much. Their physical preparation for earthquakes was perhaps the most sophisticated and well-orchestrated in the world. And with an earthquake of this magnitude, coupled with the tsunami - even that failed. But the Japanese people are triumphant in the most important ways. They act as a community, they are helpful to each other, they are patient, they are gracious. In California - if a giant were to strike, would we survive? Many of us can't even share a lane of the long, smooth highway on a bright and sunny day when there are no calamities in sight. We have much yet to prepare within ourselves. 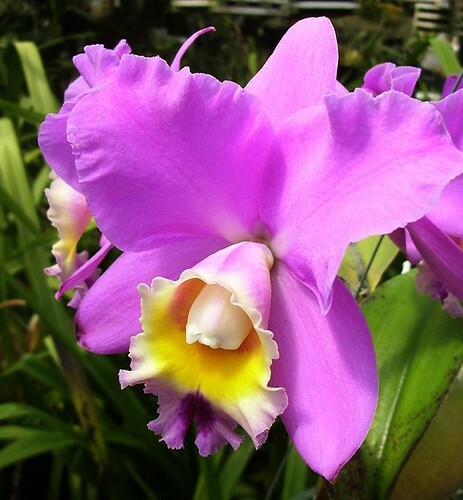 The Santa Barbara Orchid Show is taking place this weekend at the Earl Warren Showground in Santa Barbara. In addition to the formal show, several of the orchid growers in our area are holding open house events at their facilities. Springtime in Santa Barbara is orchid season. 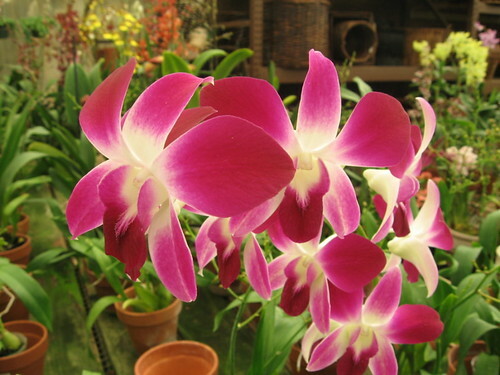 Why not immerse yourself in the extravagant and theatrical beauty of orchids, and celebrate the color and fragrance and vibrant beauty of the season. 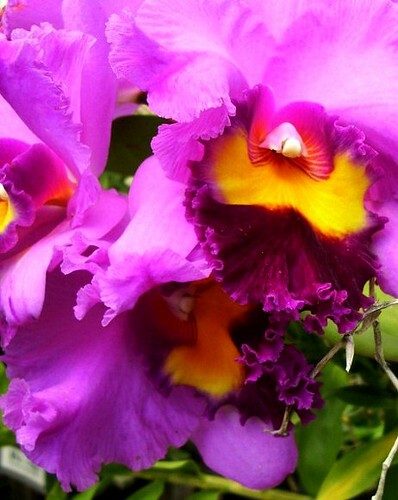 If you are not able to attend the show in person, here are some links provided by the Santa Barbara Orchid Society that will take you to other sites where you may learn more about the culture and society of orchids and those who love and grow them. Here is the link to an earlier post I wrote about my visit to the Santa Barbara Orchid Estate. 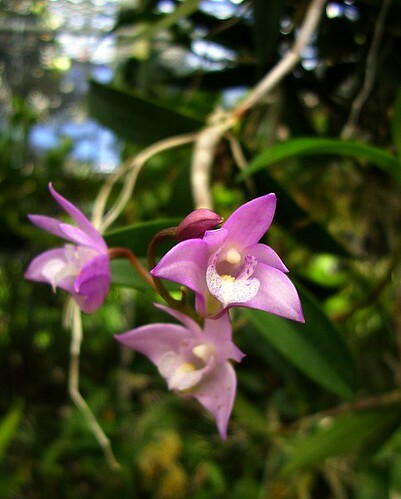 And, as a special treat, here is an online copy of a book entitled Orchid Album.